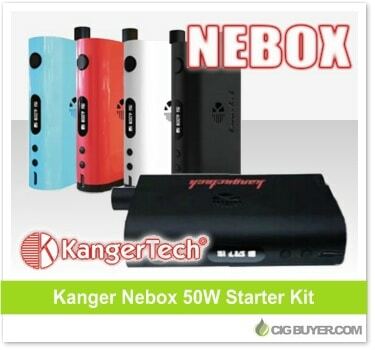 Kangertech is taking their first stab at temperature control with the Kanger Nebox Kit. The Nebox is a bit different than other TC devices, combining mod and tank into one unit (similar to the Joyetech eGrip). Designed for convenience and simplicity, the internal tank holds an astounding 10ml of e-juice and is compatible with Kanger Subtank OCC coils and RBA heads. The Kanger Nebox Mod is powered by a single 18650 battery and offers up to 50W of output power, firing at resistances as low as 0.15 ohms.